I am located in Tacoma and would love to hear from you. I will buy and trade for older material. I will pay cash for Sports cards including basketball, baseball and football cards I will always be honest and fair. In other words, I am not going to rip you off. With over 30 years of experience in the sports card field, I understand the market very well. I personally collect anything Steve Largent, Seattle Seahawks, Seattle Supersonics and other Northwest Sports card interests. Call Now! 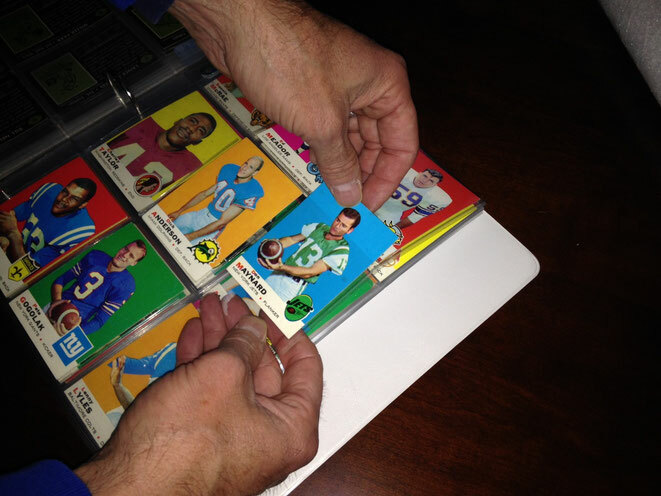 253-221-6350 Looking for high quality, older Topps Sportscards and Vintage Seahawks material. I am a private collector. I buy and trade cards as a passion and hobby. Share Vintage Topps Football Cards! Vintage Topps Football Cards: assisting sports card collectors in organizing, completing sets, and helping young people to become collectors. Buying, and trading football cards, baseball cards,and sports cards.